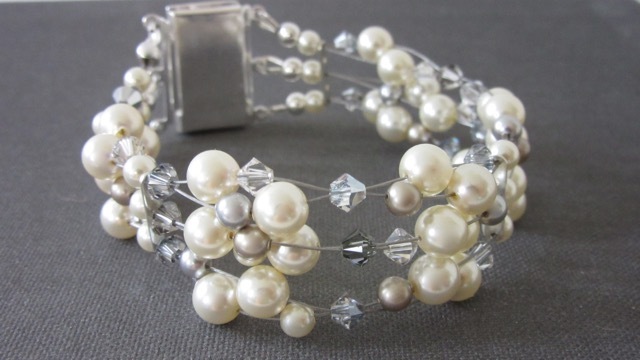 VINTAGE STYLE 3 PEARL BRACELET - HEY JULES! 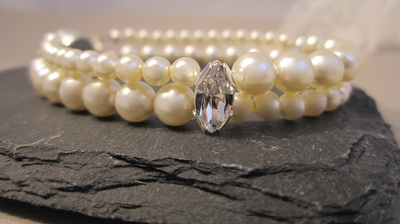 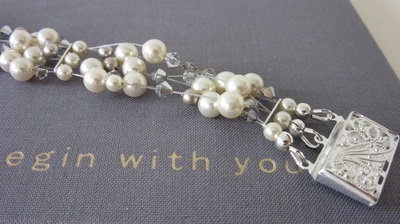 This vintage style 3 pearl bracelet makes more of a statement, and is very beautiful when worn. The carefully selected palette of creams and greys with a touch of platinum pearl gives it a vintage feel, and it is finished off with a gorgeous vintage style box clasp for added charm. DIMENSIONS - This bracelets has 4mm and 6mm Swarovski pearls and is 18cm/7 '' long, please contact me for a larger or smaller size or include your 'actual' wrist measurement at checkout, and it will be made to fit you perfectly!